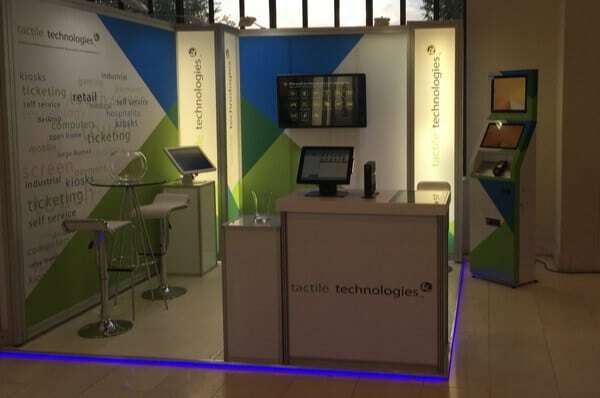 Towards the end of January of this year (2016), Tactile Technologies – the largest private distributor of professional touch screen solutions in Sub-Saharan Africa – became one of only a few to have been invited to attend the Dell Solutions Tour 2016 in Johannesburg. During this expo, Tactile Technologies rubbed shoulders with tech giants Intel and Citrix amongst others. When asked about Tactile Technologies’ involvement in the Dell Solutions Tour 2016, Mauro Mercuri commented that their invitation came down to their close and successful working relationship with Dell SA. “Together, we are working on a number of projects, including large scale deployments of Elo 15 inch touch monitors,” said Mercuri. On this issue, it should be noted that Tactile Technologies is the sole distributor of Elo touch monitors in Sub-Saharan Africa. However according to Mauro Mercuri, Dell SA is just one of a number of local partners with whom Tactile Technologies is currently engaged with on big projects, which pivot around the distribution of cost-effective and efficient touch technology. The Dell Solutions Tour is an event that draws together the powerful leadership at the helm of a number of organizations (large and small). It then seeks to expose these men and women to the modern technology that is revolutionizing the IT world and giving companies and organizations a foot up on the competition. To this end, the Dell Solutions Tour invites representatives from companies, organizations and institutions of all sizes and from all industries to show them the fundamental role today’s technology innovations helps them to compete, thrive and grow in an often over-crowded marketplace. During this event, the leadership of these institutions and organizations can learn about what technology is available (or will soon be available) and how that technology can be applied to their business to take it to new competitive heights. The event also offers fantastic networking opportunities and insights into what the future of technology holds. The Dell Solutions Tour aims to demonstrate to all attendees how they can partner with Dell to benefit from true end-to-end infrastructure, data center modernization and security, amongst other important services.